A Roman widow of the sixth century; feast, 5 October. According to St. Gregory the Great (Dial. IV, ch. xiii) she was the daughter of the younger Symmachus, a learned and virtuous patrician of Rome, whom Theodoric had unjustly condemned to death (525). Becoming a widow before the end of the first year of her married life, she, still very young, founded a convent and hospital near St. Peter’s, there spent the remainder of her days in austerities and works of mercy, and ended her life with an edifying death. The letter of St. Fulgentius of Ruspe, “De statu viduarum”, is supposed to have been addressed to her. 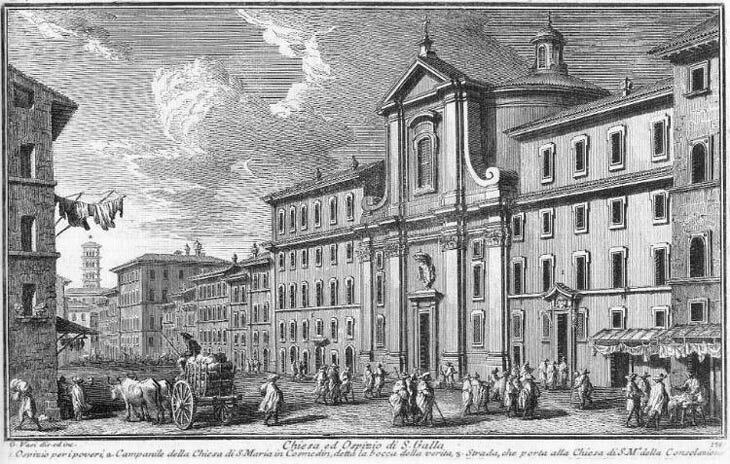 Her church in Rome, near the Piazza Montanara, once held a picture of Our Lady, which according to tradition represents a vision vouchsafed to St. Galla. It is considered miraculous and was carried in recession in times of pestilence. It is now over the high altar of Santa Maria in Campitelli.